Yes, teaching English in Nepal for more than a decade, from primary, secondary, and now in a university has compelled me to reflect myself with different hats; basically every day, now a days, I have been wearing two hats: first, a professional hat; second of a “good” parent. A born, dedicated teacher and a very finicky parent, as teaching professionals are the most difficult clients for “boarding schools” too. 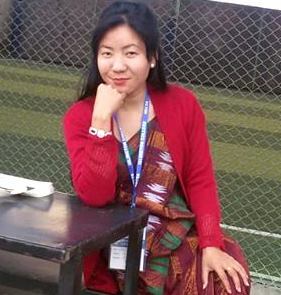 Last weekend, with sufficient activities and monitoring at Kathmandu University’s Undergraduate classrooms, I returned home, tired. Good that our elder boy was already there with the small one and their mother waiting: I was the last to reach home that relieved me from worrying about others’ arrival as we all absent ourselves day time; one a hosteller, another day-scholar, and the couple both working in different sweat shops. Our meeting was followed by a homely Dinner; and during dinner time, we talked as usual. My wife was an initiator. She said, “Look, I have something to say today”. I, with curiosity, gave my response, “Yes. Go ahead”. Then she proceeded, “Our children are doing good in studies. They score good marks. But, the bigger one had a request whether we could speak English in home so that he can confidently speak in English with his teachers”. He is a nine grader studying in one of the “finest” boarding schools. In Nepal, we love to make judgment about the standard of schools on the basis of the money they collect from parents; like how much, how often, and how early. This school is “good” because of the amount they charge, frequency of events they advocate for extra money, and reason they find for collection. From this year they claimed that they have also improved their quality by rescheduling the mid-term exam as early as possible. They said it is good because the children can have their result before Dashain (the major festival in Nepal with a long holiday), but I know the reason, and so do you, all intelligent readers. Yes, after some moment, he revealed that if we spoke “English” in home, he could have excelled in everything and among everybody in the school. Then, I realized the problem, but I never took “English” and “only speaking English” that way. That made me little emotional and thoughtful. I have seen many “good English speakers” not doing anything even in the Americas, seen a village-wo/man with a great heart doing a lot; s/he may be poor, unfortunate to attend so called “boarding schools” but also NOT devoid of humanity. I know more on what I have to make them unlearn than what they are learning in school. Children are learning that they need to pay fee for the admit card so that they can sit down for the exam and go for unhealthy competition. I am saying this because I saw an innocent little girl crying in one of the good private schools on her result day because she could not hold the FIRST position among some 600 students while the “Block Incharge” was trying hard to convince the child and her parents saying, “You should try next time”. My goodness, isn’t scoring the SECOND position in this huge mass a fabulous job? I think yes, and for me it is always a “WELL DONE!” Do these schools worry about giving prizes in the same way as they are curious to collect fees before exams? Children (ALL) I have always seen happier coming home with the envelope (a receipt inside) than their exam results. We make children to be disciplined. And they are disciplined in such a way that even at their Undergraduate levels, when we ask them to contribute in some way or express their views, first thing they do is “standing up”. It has become their habit; most of them do not worry on the issue but ask to repeat again after they stand up; they have become habitual this way. We are giving them the “wrong” message that only educated people are comfortable to survive in this world and the toppers are always “respected”. I agree, but what about the other parts? Don’t we have to enjoy life with children? Is our home NOT different than schools? Aren’t we also paying high to imprison their childhood? Honestly, I have sent my boys to these private schools not because I really wanted them to but just to make ourselves “socially” comfortable and put myself under this “veiled prestige and power relationship”. Now, I do remember the lines from Daniel Goleman’s essay where he has inserted a dying patient’s reflection, he mourns past losses and wrongs he has committed, “he regretted that when his daughter was small and needed him, he was on the road making money to provide a good home. Now, that he was dying, but she was grown and had her own way of life”. He felt it was too late to play, talk, and even share a lot of things that were possible earlier and, most of the times, I find hard to see myself differently. How have we motivated the children? John Holt says we still claim children go to school to learn as if learning is different than living and that the child hadn’t been learning before. They are learning to hide the home works. They are learning countless strategies for prying “right” answers out of the teacher, for conning her/him into thinking s/he knows what s/he does not know. Children when suggested to change certain things that were not right, they fear whether they could write that way in exams too. Many parents also fear a good amount of project works during holidays. I have seen them working actively in many student projects, that to be submitted to teachers, for the sake of children’s happiness. At this point, I worry whether children go to school to learn for themselves or for others? Next, is “ENGLISH” terror. As I have seen fine slogans painted or posted in many private school walls like; ENGLISH IS COMPULSORY. PAY Rs. 5 Or 10 FOR EVERY TIME YOU SPEAK NEPALI. Why do we advertise this way? Can’t we simply speak English in the schools, a “correct” English I mean which may come from different sources, may that be watching TV, reading novel or anything. Parents in Nepal would love to see their wards speaking English, no doubt. But, don’t we also have to cultivate reading habit or don’t we have to give our children the knowledge about the life style, culture, feast and festivals of the target language? Can’t we also take our children to several events like Cultural Programs, Book Exhibitions, or other Educational Fairs? Keeping these all in mind, I was comfortable when my boy agreed with me as we are doing all other activities at the maximum possibility, though English was not compulsory in HOME. And this is the beauty that children find a home more homely, different than “Boarding” schools in Nepal. I worry who has time to look into these issues with due priority for these children’s childhood has been imprisoned unknowingly deceiving them in the name of discipline, competition, success, or what not. Yes, we badly need homes that are more homely than boarding schools of Nepal. *Note: Kashi is a real friend of mine, not just one on Facebook 🙂 and this disclosure should help certain readers not have to decipher the bias. But that disclosure is only half-true, the other half of the truth being that I consider everyone in NELTA a friend, most sincerely. I find myself wearing Mr. Pandey’s shoes for a while, and recall the days I was wearing those of the advocates of “Strictly English at School”. But, people want English not because they know its international, academic and political value, but because it is English despite anything. One school where I worked long back emphasized teaching nursery rhymes even before the alphabets (perhaps many still do) because this would take the school’s Englishness directly home. This would also mark the school’s power of swift teaching, and at the same time appease at the earliest the ‘parental’ thirst for giving ‘high’ education. The “English for better life” culture that most of us are not immune from advocating has created the the exploiter and exploited. Herein continues the myth of boarding schools hoarding as much as they can under colourful headings. I think we should review our own thirst for ‘height’, which we fantasize with education in English medium disregarding the side-by-side value of mother tongue education.